So after dropping the niner into Broken Spoke for a tune up Mark informed me that my front chainring was “only good for scoring pork” and that I’d need to get a new one. This seemed like a good excuse to buy a bunch of shiny new parts! 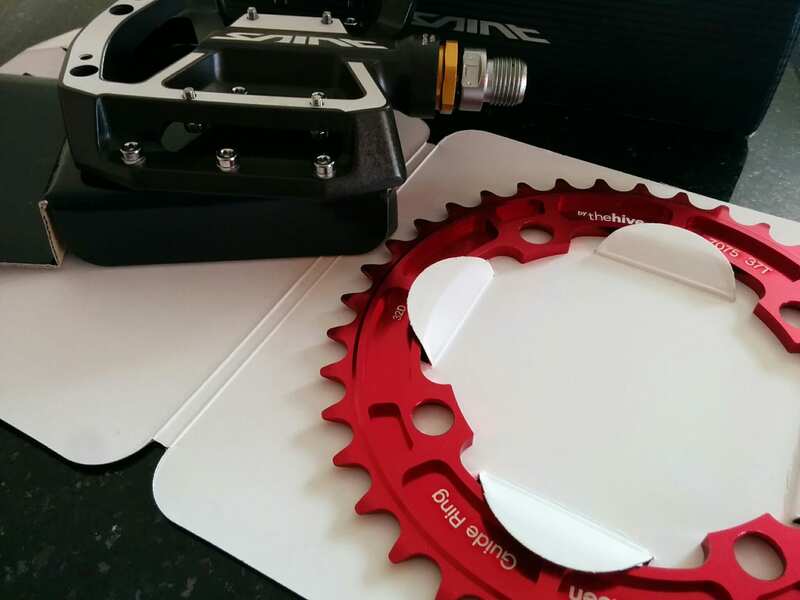 The old chain ring was an e.thirteen 36t and for its replacement I decided to go for a 37t instead. It ought to let me get a little more speed out of my 1×10 setup without crippling me on climbs. 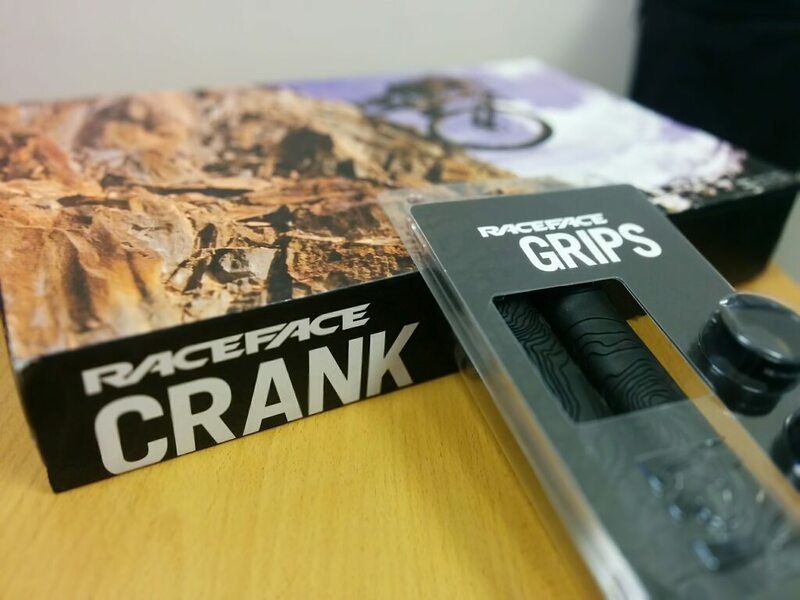 Also on the order was a Race Face ‘Chester’ 175mm crankset and BB, along with Shimano ‘Saint’ flat pedals and Race Face ‘Half Nelson’ lock-on grips. All lovely looking kit. 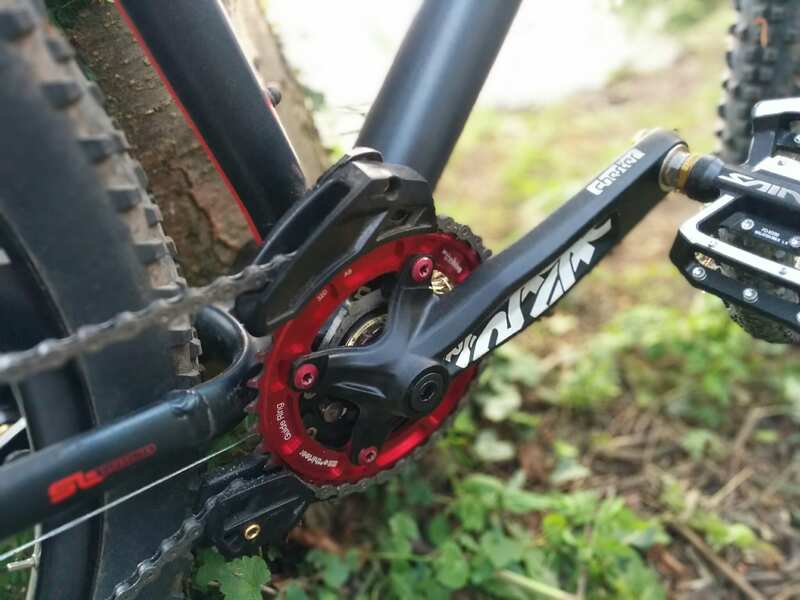 After a little ordering error and eventually getting Mark the right size cranks for my frame he threw it all together along with a new chain and derailleur cable. I need a new rear cassette too, but there wasn’t a 10 speed on the shelf and I wanted the bike asap so it can wait for another day. 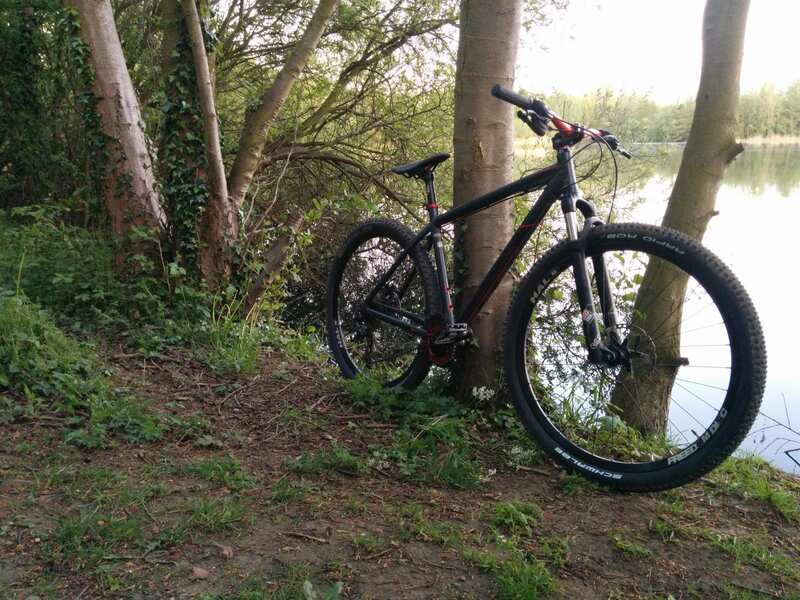 First test was a quick lap around Little Paxton nature reserve, and the bike felt great. Whether this was down to all the new parts or just the tune-up at Broken Spoke, I don’t know (hopefully a combination of both!). The bike had never ridden so nice, there were a couple of minor things to tweak (shifter/brake lever angle) but really couldn’t be happier with all the new parts and overall feel. Now I’ve got the bike sorted I’ll be heading over to Chicksands with Andy tomorrow for my first visit to their bike park. Should be good!